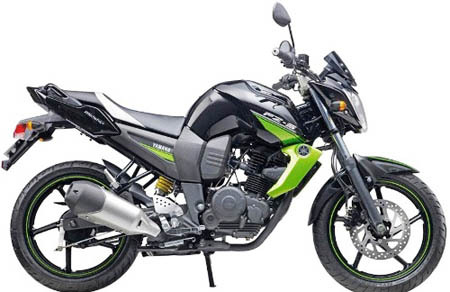 Yamaha FZS Price in India Rs - 77,000. Yamaha Motors Introduces new stylish Sport Bike Yamaha FZ - S after the sucess of ( MTO1, YZF-R1, FZ16, YZF - R15, Gladiator Type SS and RS, Gladiator Graffiti G5, Alba and Crux, FZ16 ). It has 150cc 4 stroke engine. this bike is available in 2 colors, Yellow Streak and Silver Tech. It comes with Perfect Sporty Body. Features, 4 stroke engine, single cylinder, 2 valve and SOHC.